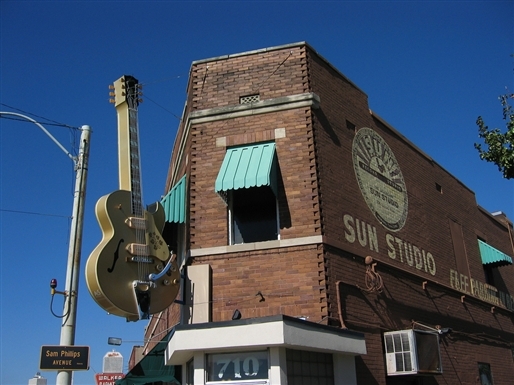 Sun Studios, the legendary Memphis recording house where Elvis Presley once recorded, hasn’t changed much over the years. It’s like stepping out of the DeLorean and into the birthplace of rock and roll. 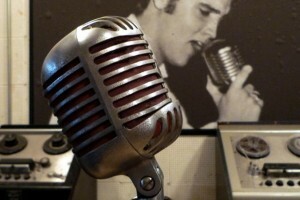 Elvis week always reminds me of my visit there a few years ago. There I was waiting for my client, Elvis’ doctor, George Nichopoulos (“Dr. Nick.”) We were there to record an interview with the nationally syndicated show The Insider. Dr. Nick wrote a book about his time with Elvis and it was my job to get him press. After a full day of interviews and a book signing, a huge group of us went out for barbeque. (What else do you eat when you’re in Memphis?) Surrounded by people who were once part of Elvis’ entourage, I don’t think I said a word. I just listened. The stories were fascinating! More than thirty years after his death the people who knew Elvis best remained loyal to him and to the doctor many still blame for his death. They were quick to steer the conversation away from tabloid-Elvis and instead talked about the man—who he was and what he believed in. One lady showed off a ring Elvis had custom-made just for her because she made him a sandwich he loved. Dr. Nick’s son Dean showed me the receipt for a car Elvis insisted on buying him because “No one who works for me is going to drive a used car.” I heard some of the inside stories of what went on in Graceland and of Elvis’ playful, generous, and deeply spiritual nature. On my three-hour drive home that night, I thought about how much has been written about Elvis, much of it from people who never really knew him. The people I was with that day were real. They were Memphis. And they miss the real Elvis—his quirks, his humor, and his sensitivity. Elvis died August 16, 1977. He was found in the bathroom. The book he was reading was about the shroud of Jesus. With all his good looks, talent, and charisma, he was still just a man—deeply flawed, in need of a Savior. And that makes Elvis the same as you and me.